On March 11th 2011 a magnitude 9.0 earthquake rocked Japan that sparked a tsunami and a nuclear crisis. In the days and weeks that followed much to Tokyo was without the bright lights and neon that it is so well known for. 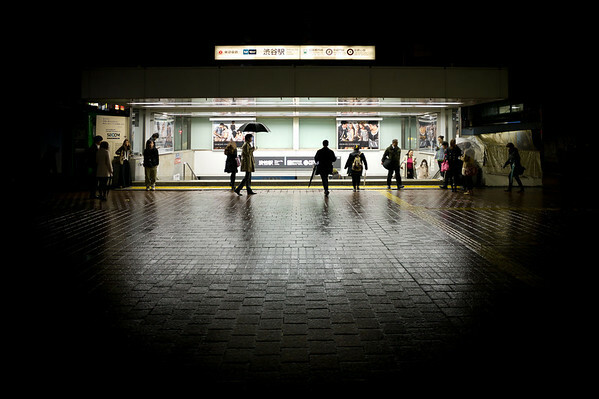 As I was heading to board a train in Shibuya one evening I stopped and was amazed by how dark it was. You can get know a place and it can be very surprising when it is no longer as it should be. Dark Shibuya was surreal.